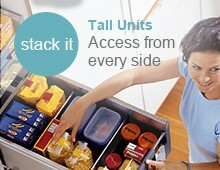 This 900mm cutlery insert has an inner dividing system consisting of 8 (450mm) or 12 (500mm) individual dishwasher-safe, stainless steel Blum Orga line cutlery compartments, and these cutlery drawer inserts are perfect for neat and hygienic storage of cutlery in larger drawers. 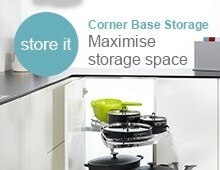 The roomy 900mm cutlery insert has two wider areas in the centre for utensil storage. 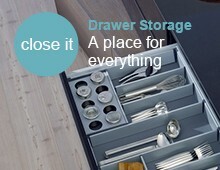 In addition the Blum Orga line cutlery storage system, benefits from an adjustable horizontal divider, enabling you to personalise the drawer to its contents. 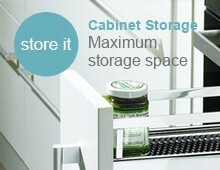 The cutlery drawer inserts can be lifted out for easy transportation of contents or cleaning. 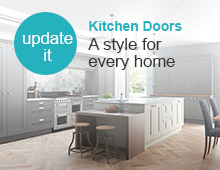 The 900mm cutlery insert is 64mm high, with dimensions as illustrated. 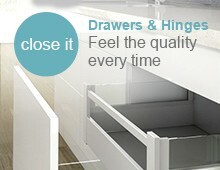 This Blum Orga line cutlery system is designed to fit neatly into Blum soft close metal drawers with 450 or 500mm sides.